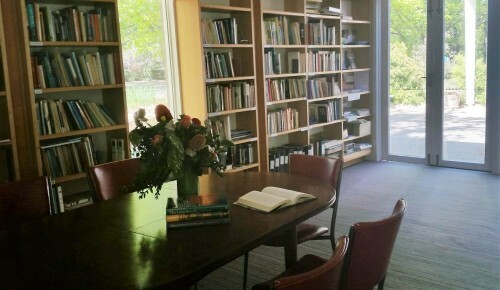 These publications and many more (2000 titles plus) are in the Canberra Quaker library. 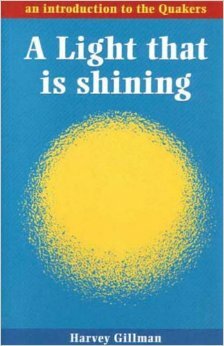 A Light That is Shining (Harvey Gillman, 1988, 101 pages) Although written some time ago, this is still a standard introduction to Quakerism. It describes the Quaker outlook based on the common experience of a creative, loving power in all people and in the world around, however hidden, which leads to worship in the form of quiet waiting, freedom from creeds and hierarchy and an emphasis on Spirit-led action. 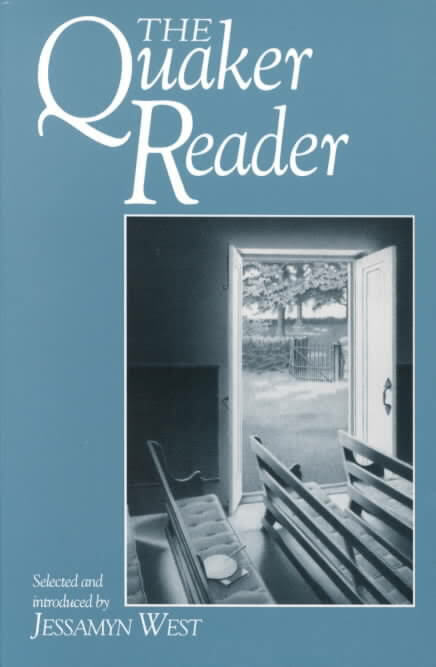 Introducing Quakers (George H. Gorman, 1981, 81 pages) This is an easy-to-read overview which covers the beliefs and practices of Quakerism, mainly from a broadly Christian perspective. An older book, and so a bit dated in parts, it is still well worth reading. Advices and Queries (Australia Yearly Meeting, 2008, 18 pages). This small booklet contains pieces of wisdom as well as challenging questions on spiritual and temporal issues for us to consider as we try to live a Spirit-led life. 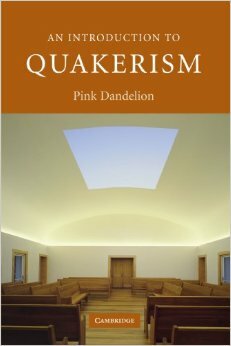 An Introduction to Quakerism (Pink Dandelion, 2007, 277 pages) A scholarly, but very readable, comprehensive introduction to Quakerism. After looking at the early history of Quakerism, the book examines how Quakerism developed theologically with its spread to different parts of the world, and how this is reflected in the diverse traditions and practices encompassed in today’s world-wide, broadlybased Quakerism. It also examines Quaker belief, thought and testimonies and is interspersed with boxes of information which enrich our understanding of the text, as do the many photographs, diagrams and tables. The Quakers: A Very Short Introduction (Pink Dandelion, 2008, 142 pages) This small-sized, concise book encompasses Quaker history, thought, belief, worship and development around the world. A must-read for Quakers and newcomers alike. Silence and Witness: the Quaker tradition (Michael Birkel, 2004, 144 pages) A meaty and inviting introduction to Quaker thought and spiritual life. Encounter with Silence (John Punshon, 1987, 131 pages) is a classic, written by a Friend steeped in the traditions of both the un-programmed style of Quakerism (as in Britain and Australia), and the programmed Meetings common in Africa and a large part of the United States. There is gentle humour and great wisdom about silent worship and prayer, based on the author’s personal Christian, mystical pilgrimage. New Light: 12 Quaker Voices (Jennifer Kavanagh, 2009, 224 pages) 12 Friends each give their understanding of a range of topics, demonstrating that Quakers follow a wideranging way that embraces maximum spirituality with minimum religion. this we can say (Australian Yearly Meeting Faith and Practice Committee, 2003, 352 pages) is a substantial compilation of writings, poems, art work and music, all centred on the religious life, faith and thought of about 250 Friends, chiefly Australian. Quaker Reader (Jessamyn West ed.,1962, 539 pages) Don’t be put off by the size of this book, it’s one for dipping into and is a storehouse of treats. Writings from the mid 1600s to the mid-1900s, on a big range of topics – from Calvin to prayer and mysticism, childhood recollections to American Indians and isolated Quakers in Russia, and much more. With something to speak to your condition whatever your mood or inclination, this book is a delight. A Quaker Book of Wisdom: Life Lessons in Simplicity, Service, and Common Sense (Robert Lawrence Smith, 1999, 144 pages) A small, easy-to-read and enjoyable book, which gives the personal views on Quakerism of a liberal Friend. This we can say (Australian Yearly Meeting Faith and Practice Committee, 2003, 352 pages) is a substantial compilation of writings, po ems, art work and music, all centred on the religious life, faith and thought of about 250 Quakers, chiefly Australian. Being A Quaker: A Guide for Newcomers (Geoffrey Durham, 2011) An up-to-date, interesting and extremely readable book, covering all you want to know about the Quakers and their modern, radical belief system. 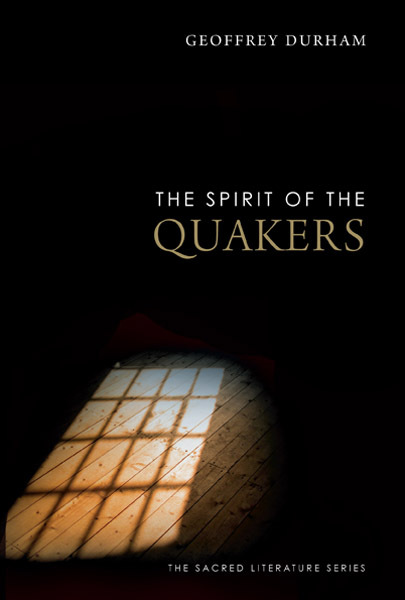 The Spirit of the Quakers (Geoffrey Durham, 2012) Using enlightening writings from a wide range of people and covering 350 years, Durham shows how Quakers have a unique form of worship which inspires them to work for change in themselves and others. Peace, equality, truth, simplicity and working for social change are just some of the topics explored, each introduced by Durham’s enlightening and sympathetic texts. An engaging and accessible book. The Canberra Regional Meeting Library Catalogue can be accessed here (you will need to copy and paste this URL into your browser): http://www.librarything/catalog/CanberraFriends. www.quakersaustralia.org.au/ – The Australian Quaker website. Gives information on Quakers, local meetings, publications, events and more. www.quakers.org.uk – The website of Quakers in Britain, it is very informative on a wide range of topics from belief to action with a good search function. http://www.quakers.org.nz – New Zealand/Aotearoa’s website gives good information on Quaker beliefs and concerns, as well as news of the activities of our neighbours. http://www.bbc.co.uk/religion/religions/christianity/subdivisions/quakers_1.shtml – A long and comprehensive article on Quakerism, covering beliefs, worship, history, holy days, ethics, marriage, funerals, structure and clergy. https://en.wikipedia.org/wiki/Quakers – A very informative site with lots of useful links. www.kendal-and-sedbergh-quakers.org.uk/Q%20in%20brief.pdf – Quakers in Brief or Quakerism Made Easy An over-view of the Quaker movement from 1650 to 1990) David M Murray-Rust UK 1995.
https://www.woodbrooke.org.uk/resource-library – Woodbrooke’s learning resource centre is an online collection of useful material, from podcasts and videos to thesis and publications. http://www.youtube.com – Put “Quakers” in the search bar, and there are many Quaker videos. Those by Watford Quakers (UK) are particularly interesting and informative. https://en.wikipedia.org/wiki/Ann_Preston – Read about Ann Preston, American physician, activist, educator and prominent Quaker, who was instrumental in founding the first US medical college for women. Your request has been sent! Thank you for subscribing.